Learn more & register for the conference, at which Sarah Peyton will be presenting. In simple language and easy-to-follow exercises, Your Resonant Self synthesizes the latest discoveries in brain science, trauma treatment, and the power of empathy into an effective healing method that literally rewires our brain and restores our capacity for self-love and well-being. 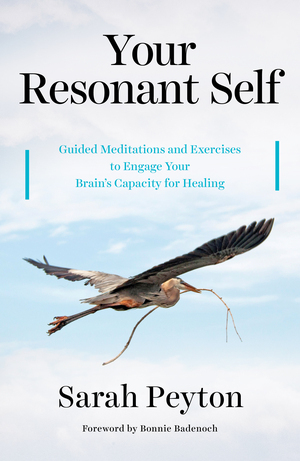 Each chapter weaves the core concepts of neurobiology with guided meditations and beautiful illustrations by emily chaffee, painting an inspiring picture of the human brain’s inherent yearning toward healing and wholeness. “Sarah Peyton's guided meditations go beyond the usual feel-good meditations of affirmation—they actually change our brain and our feelings about ourselves. Because they are based on the findings of neuroscience and how the brain behaves, we experience the creation of self-warmth toward ourselves, call back our dissociated self and learn to hold our pain with tenderness. This is a superb book. I can't wait to recommend it.” — Karen Carnabucci, LCSW, TEP, co-author of "Integrating Psychodrama and Systemic Constellation Work"